Our topic for April 1? What else — jokes! We wanted to have some fun because it’s April Fool’s season, so we decided to survey the web for the best consulting jokes out there. We found tons of good ones, and a few great ones, and then some that made us laugh out loud. We selected the top 5 consulting jokes to share with our MC audience – you’ll find them below. How in the heck are you supposed to respond to that? Should you actually tell a joke? What if you can’t think of anything appropriate? 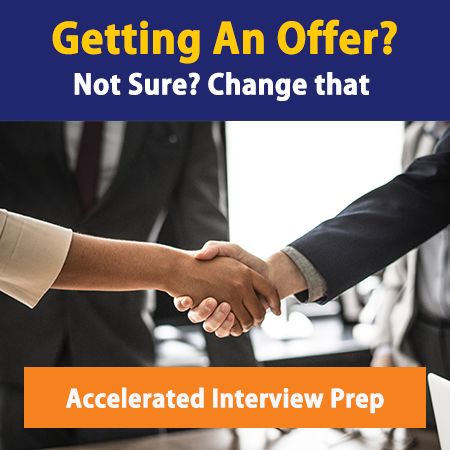 What are your interviewers testing for when they ask you that? How long is too long for a joke? Would a short 1 – liner be preferred over a story? Show your interviewers that you have a clean sense of humor. Why’s that important? They want to be around someone fun and easy to get along with, not a dried up curmudgeon – but also someone who is client friendly. As you’ll see below, not every consulting joke is clean (most aren’t, in fact) and the probability you’ll offend someone with a joke is statistically very high. A witty but conservative response to this question shows you are ready for presentation to anyone, anywhere. Avoid the risk of insulting someone. They’re all consultants, so they’re insiders in the industry. However, you’re not – and using a consulting joke will undoubtedly make you look like you’re trying too hard. Also, it’s unlikely you’re going to tell a joke they haven’t already heard in some form or another. Show that you’re game for anything. In many second round interviews, where weird questions like this may come up, consultants care less about your answer and more about how willing you are to respond to curve balls. Because you could be spending hours and hours with these people, show that you’re up for anything – not just trying to give the “right” answer. Have you responded to “Tell me a joke” in an interview? We’d love to hear from you! Post your response below or email us with your story! Okay, drumroll, please……here are the top 5 consulting jokes as deemed by the MC team. Enjoy! A consultant is …a man who knows 99 ways to make love, but doesn’t know any women. You Might Be a Consultant if…you introduce yourself to your next door neighbors … again. It said “If you kiss me, I’ll turn into an enchanting, beautiful princess”. He bent over, picked up the frog, put it in his pocket and continued with his walk. The frog chimed up again and said, “If you kiss me and turn me back into an enchanting and beautiful princess, I will stay with you for one week.” The guy stopped, took the frog out of his pocket, smiled fondly at it, returned it to his pocket and resumed his walk. The frog then cried out, “If you kiss me and turn me back into an enchanting, beautiful princess, I will stay with you and you can do anything you want with me.” Again the guy took the frog out, smiled at it and put it back into his pocket. Read more consulting jokes or share new ones! Post your consulting joke below or on our Facebook page. Why not share the good fun?